Mr. Prout's class put on a great performance of their play 'Jack and the Beanstalk'. Their parents will be very proud of all their hard work. Our oak trees have started to grow. Showing off our artistic talent. 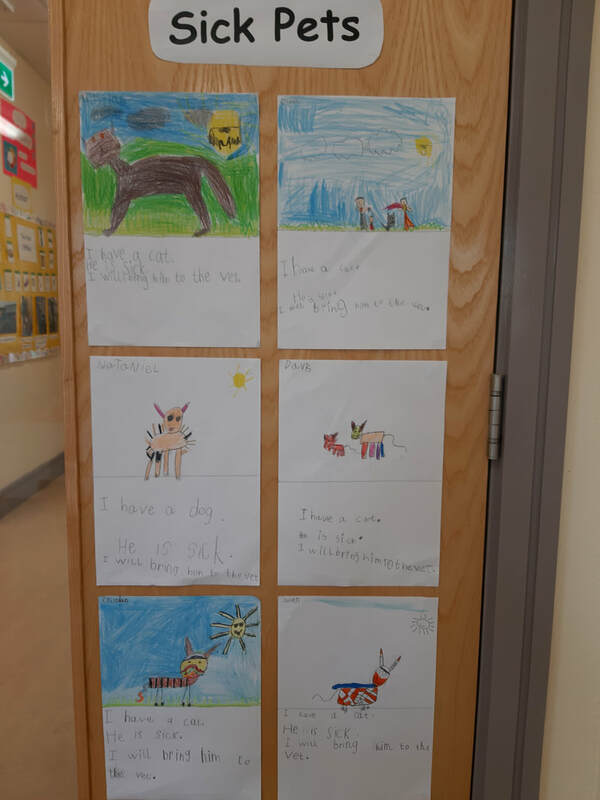 We are writing about our sick pets as an introduction to the vet theme in Aistear. 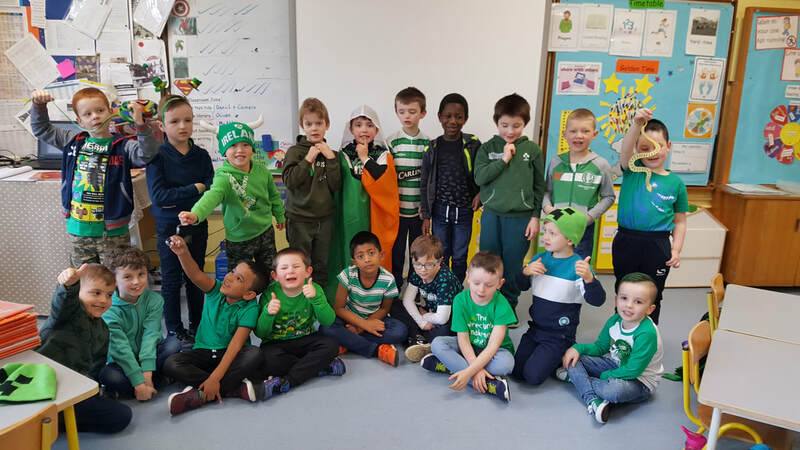 Happy St. Patrick's Day from Mr. O'Dwyer's class. Bhí an- spraoi againn ag damhsa i rith Seachtain na Gaeilge. 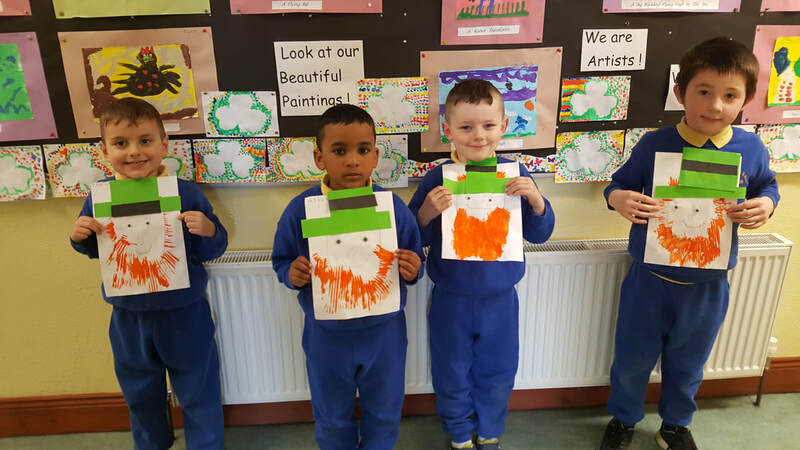 Mr O'Dwyer's class were very creative making these leprechauns for St. Patrick's Day. We had a very busy 'World Book Day'. First we took a trip to the library where the librarian read us some stories. Then, the boys from 5th and 6th class in the C.B.S. came to our school to do some 'Buddy Reading' with us. It was a great day. Do you like the stamps we designed? 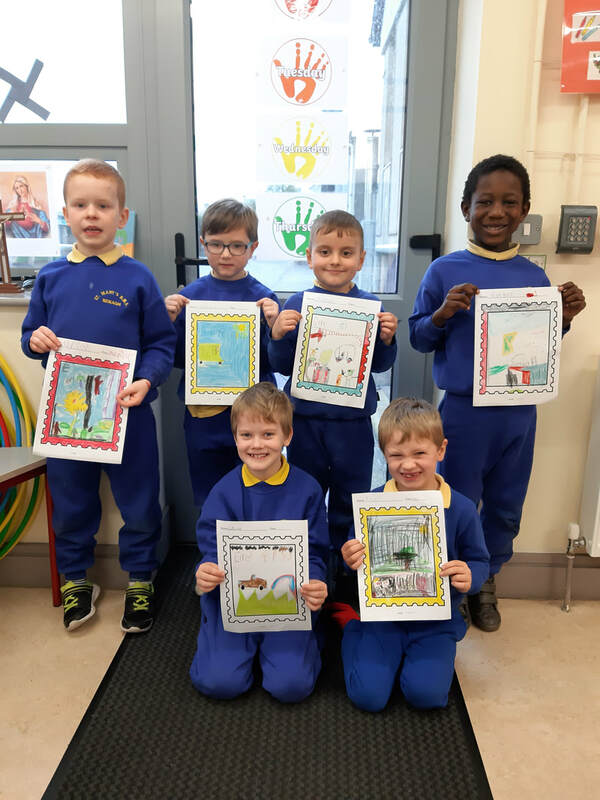 Mr O'Dwyer's class went on a visit to the Post Office as part of their Aistear theme. They were lucky enough to get a behind the scenes look at what happens to our letters when we post them.